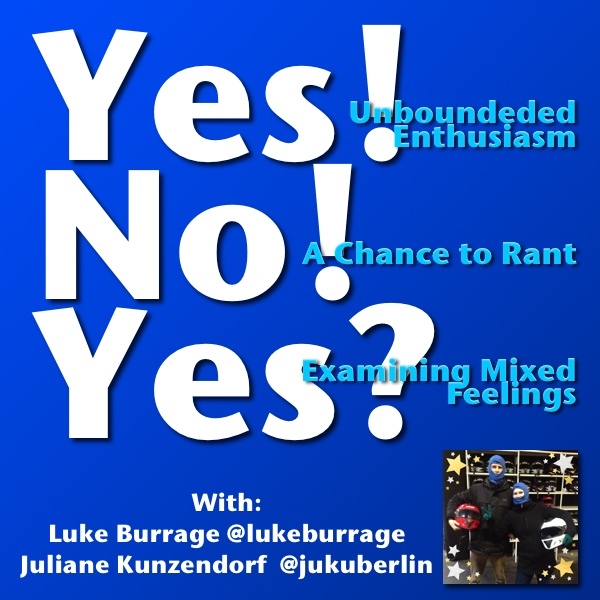 The pilot episode of the show that gives Luke and Juliane, hosts of the SFBRP, a chance to share unbounded enthusaism about one thing, rant about another thing, and work through divided feelings about a third thing. This was written by Luke Burrage. Posted on Wednesday, November 29, 2017, at 3:53 pm. Filed under Podcast. Bookmark the permalink. Follow comments here with the RSS feed. Both comments and trackbacks are currently closed.